Last month, JADE Portugal organized their traditional Team Weekend. 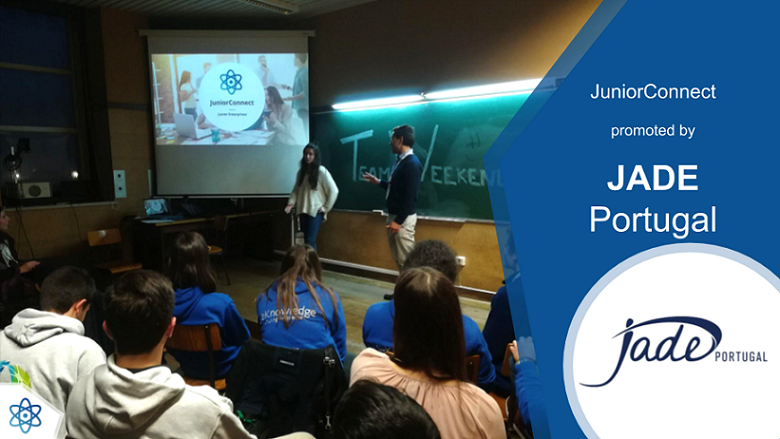 On this occasion, JADE Portugal took the time to present JuniorConnect to the audience. We are glad to provide our tool to the portuguese Junior Enterprises. This action contributes to the overall strategy of unifying the European network. How you can get everything organized with the new task management system ! We would like to present a new powerful feature that you may be interested in to improve productivity: Task Management. By definition, task management helps people stay on top of all work hitting deadlines! You can assign a new task to you and/or to your team members. Tasks are then grouped by two dates: a start date and a deadline. 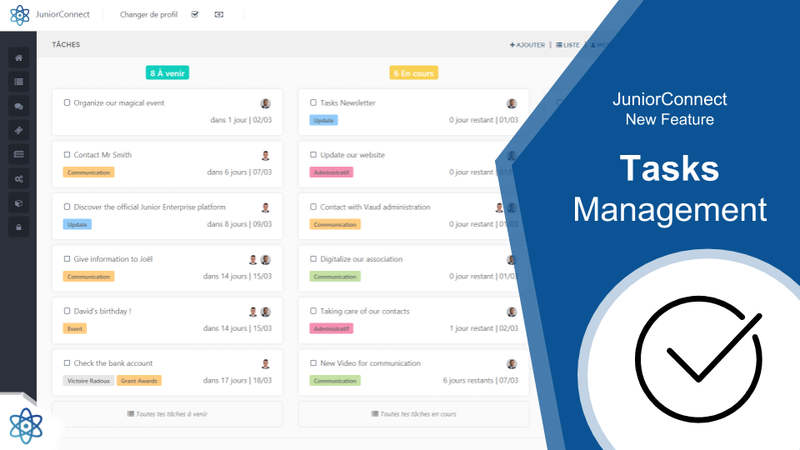 A powerful advantage with JuniorConnect is that tasks can also be linked to various other elements such as the concerned client or project. On a project, you can add a task to remind a specific member to write an offer before next week. On a client, you can use it as a specific CRM: call this client next month. On an event, you can effectively plan by making the best of your team dispatching the work. on Monday morning, with a quick summary of what you can expect for the week. We hope that you will enjoy this feature, and can’t wait to see how you will use it! In the coming weeks, we have plenty of other amazing updates to introduce, so stay tuned. Keep in mind that we are always available to answer any of your questions. Leverage the network and collaborate on projects ! We often talk about “the JE network”, but what does it mean ? What advantages does it bring, and how tangible is this idea ? How are our colleagues working in different JEs, or even abroad ? 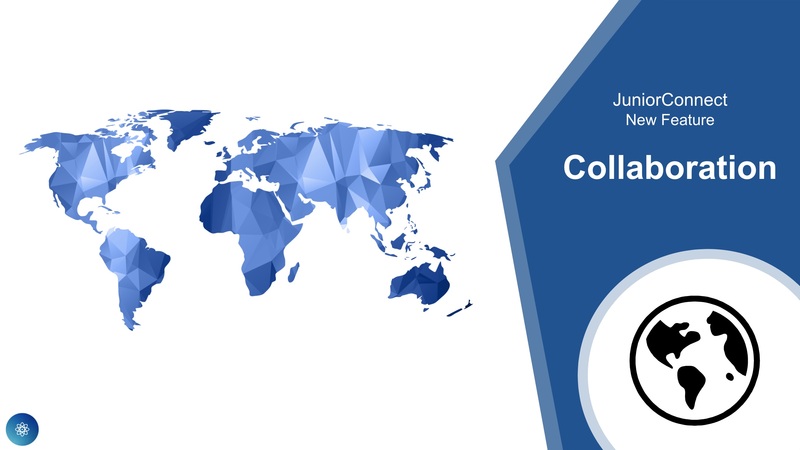 JuniorConnect gives you the opportunity to easily contact JEs from all around the country, and even the world, to collaborate with them. You have an overview of the precise fields that a JE is working on: IT, Digital, Business, Law, Marketing, Finance, Design, Translation services, and even more. Do you need a JE to outsource that iOS application that your client asked for ? Find the perfect colleagues in the network. Or simply look for opportunities near you, because other JEs might need your help ! Did you ever have to refuse a project because you didn’t have the required resources internally or on the campus ? How many times did you tell a client that you couldn’t do this or this because you were lacking the right project leader at the right time for a given deadline ? This is over now. Work together on projects, find more clients and grow. Together. Track your Key Performance Indicators in few clics ! Your Key Performance Indicators are the values that demonstrate how effectively your JE is achieving key business objectives. 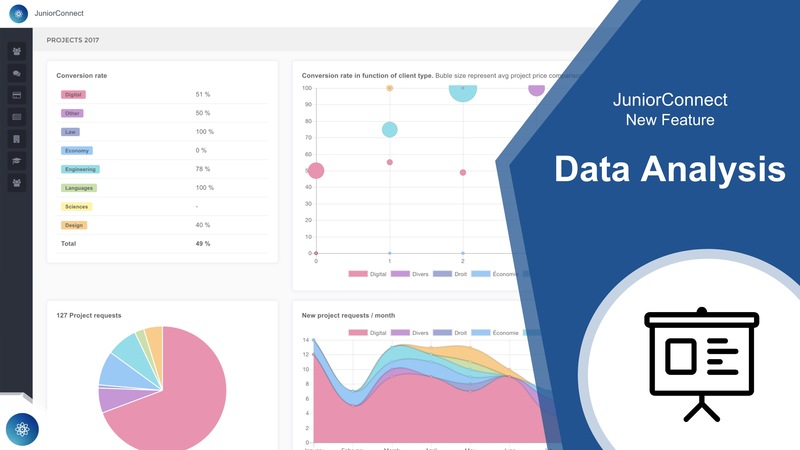 JuniorConnect allows you to identify strengths and weaknesses about your activities in order to use that information in strategic decision-making. Data Analysis allows you to spot what you can improve, determine precise objectives and analyze your performances. Do you want to know your conversion rate for a particular service ? This, along with a ton of other data, is already waiting for you on your account. Tracking your KPIs has never been easier. 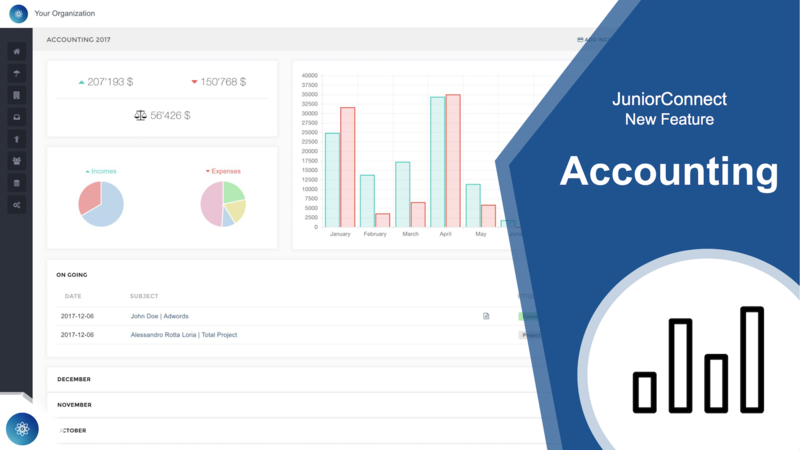 After many hours of reflection and development, we are happy to present the new accounting panel. It is now easier for the treasurer to handle requests. Among other things, an analysis is calculated for each month and keeps a valuable record of activities year after year. 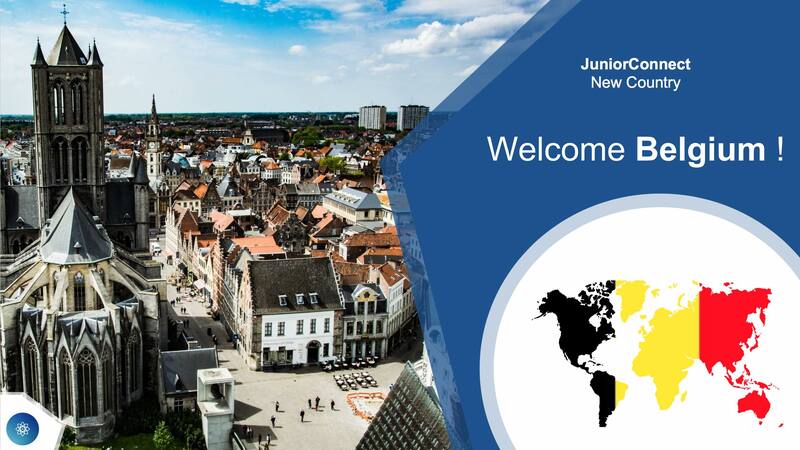 With the help of JADE Belgium, JuniorConnect is now used in the Belgium network of Junior Enterprises. This network is composed of 14 Junior Enterprises in 9 universities. Our promising collaboration aims to support them in their daily activities and structure their network. We can not wait to see the benefits ! 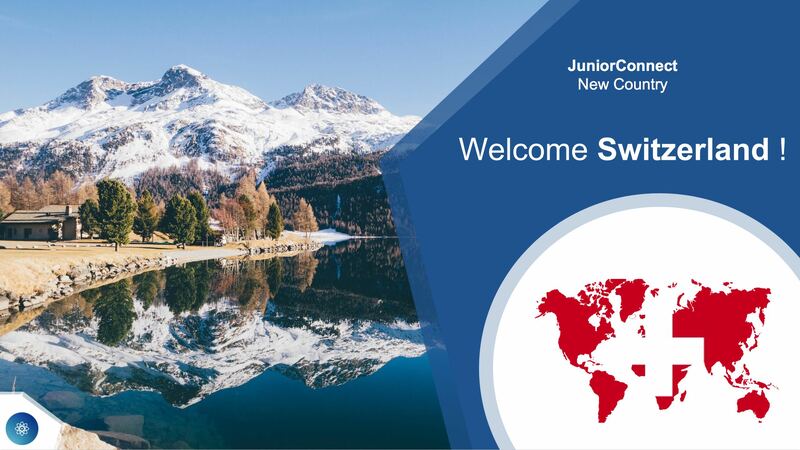 We are pleased to announce that JuniorConnect is now present in 10 Swiss campuses. Born at the Junior Enterprise EPFL in Lausanne, the tool is used by the entire network of swiss Junior Enterprises and JADE Switzerland, the confederation responsible for that student movement. The goal of this partnership is to allow them to go further in their activities. We hope that the tool will meet their high expectations !